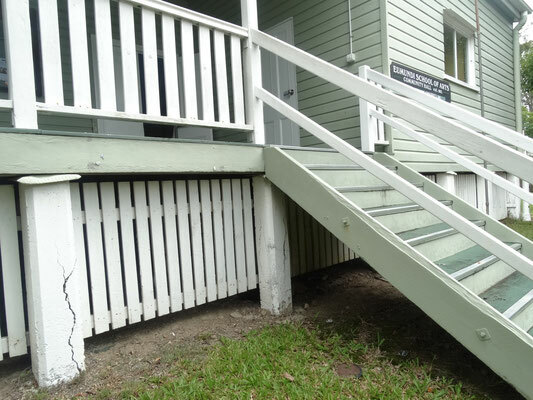 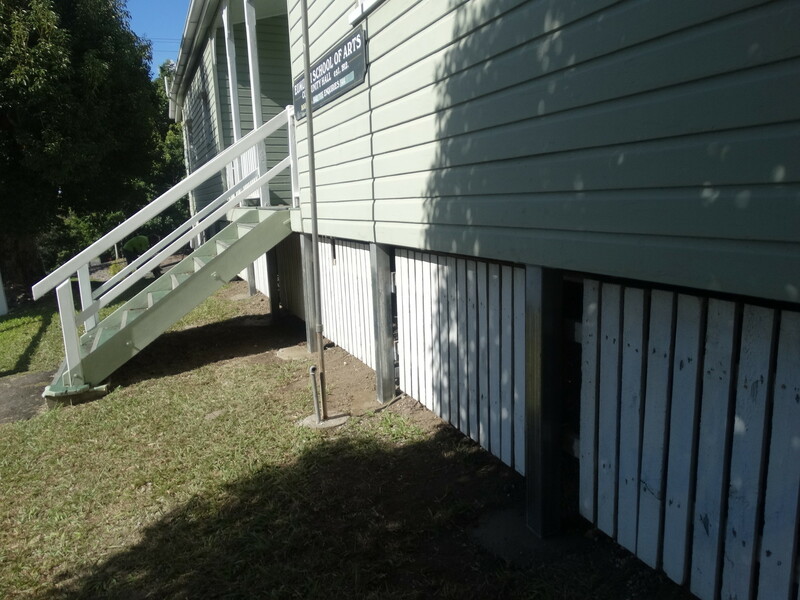 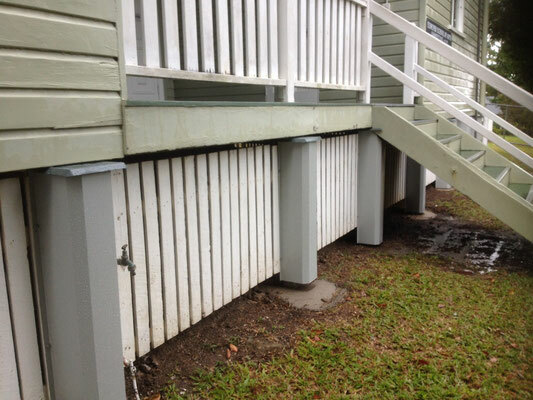 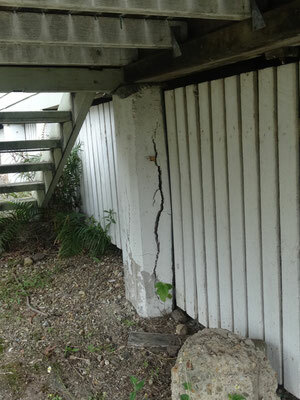 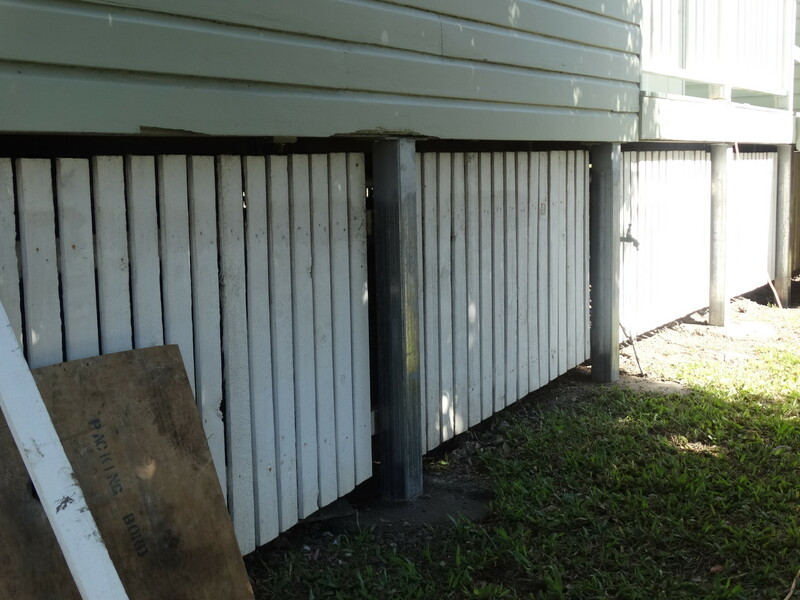 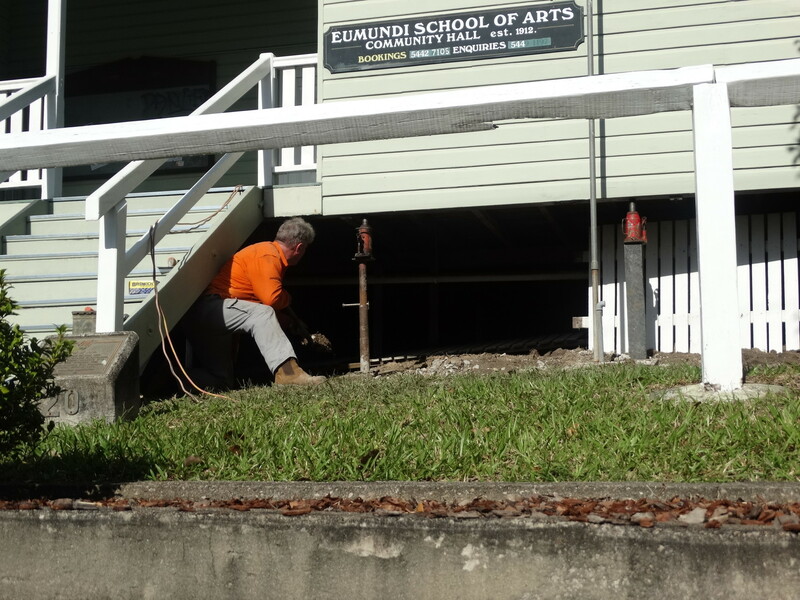 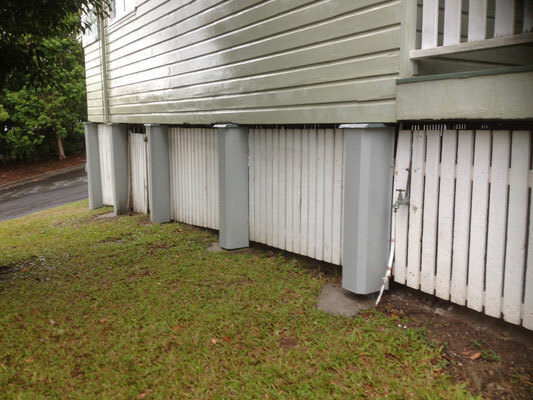 Restumping of the Hall - Eumundi & District Historical Association Inc. 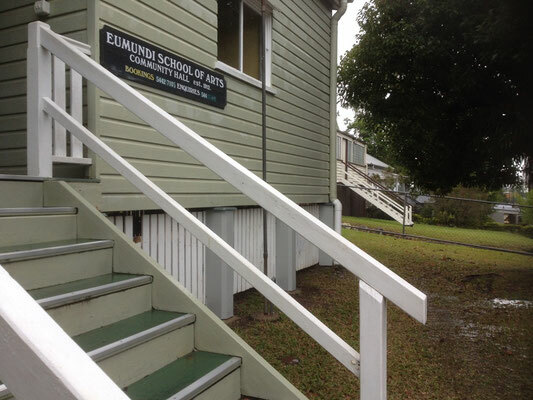 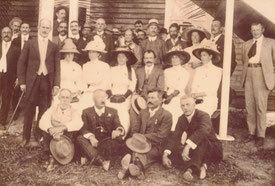 The Eumundi School of Arts hall reached its centenary on 15th Nov 2012. 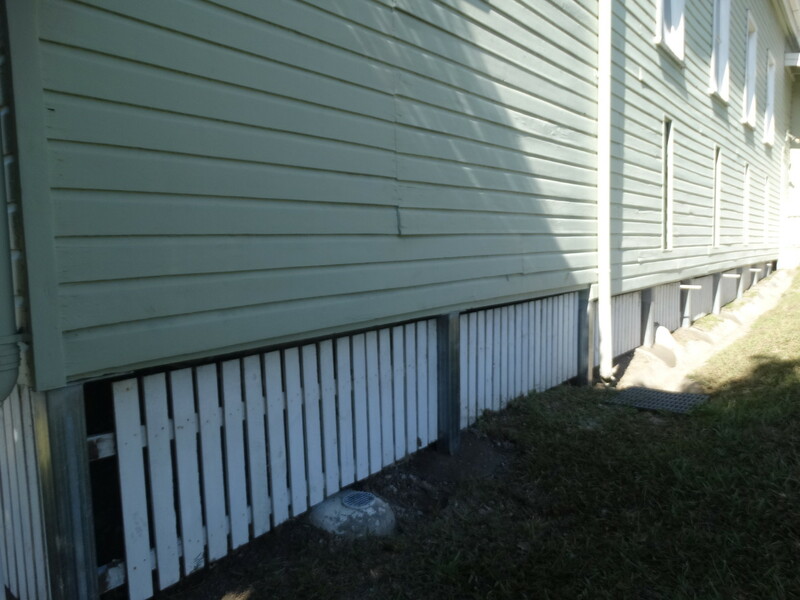 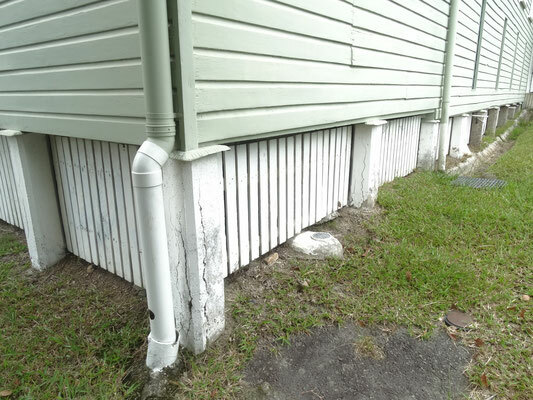 After serving our community so well for over a hundred years, a recent building condition audit identified the need for significant restumping works. The Eumundi and District Historical Association Inc is now delighted to advise it has been awarded an Everyone’s Environment Heritage grant from the State Government for $13,500 towards the total project cost of $27,700. 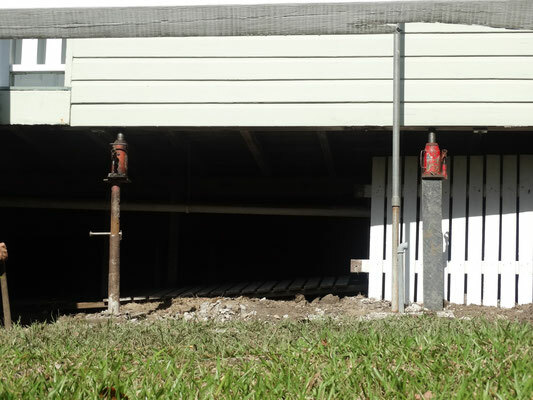 Restumping works commenced in mid April 2015 and the photos below are of the progress. 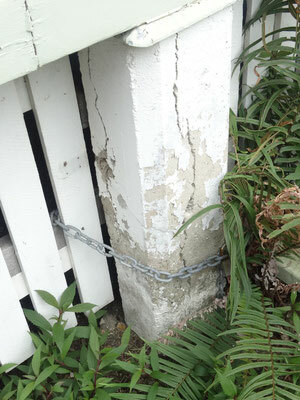 The very important works will ensure this much loved local icon can be celebrated and used for many years to come.